When you serve your country, your whole family serves. The lives of your parents, spouse, children, and relatives are as changed by your service as you are. Your loved ones feel pride, joy in reunions, longing when you’re absent from home, and empathy when you return with visible or invisible wounds. In the case of injured veterans, the future of an entire family can change because of those wounds. That’s why Wounded Warrior Project® (WWP) surrounds the whole family with help and support through its Family Support program. 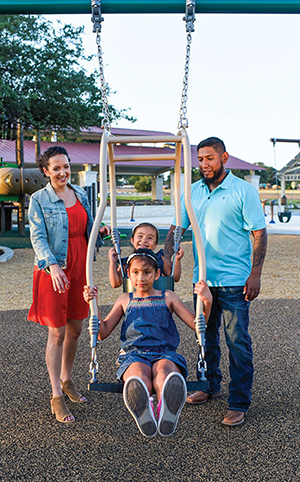 When a warrior is supported in regaining independence, achieving health goals, managing post-traumatic stress, or simply connecting with other warriors, the entire family feels the benefits. Caregivers and family members play a key role in a warrior’s recovery journey. WWP connection events aim at reaching families and actively engaging caregivers and children who can influence the warrior’s well-being and who need support for themselves. WWP program gatherings bring injured veterans, their families, and their communities together. In a WWP survey (www.woundedwarriorproject.org/survey) of the wounded warriors it serves, more than half of survey respondents (52.6 percent) expressed they talk with fellow veterans to address their mental health concerns. WWP programs embrace family members as they, too, can use someone to talk to. Connection events are sometimes reserved for warriors to share their experiences freely with one another, but some include family members who also need to feel they are not alone – that there are other families going through similar transitions. These connection events bring families together and support the rehabilitation of service members by opening communication channels, bringing awareness and understanding to each person’s challenges, and allowing families to just have fun together. A family that goes through a deployment and has a loved one return with any injury, either visible or invisible, needs support to be able to heal together. These important gatherings can be anything from family picnics to Veterans Day parades to painting classes. The goal is to connect the family in meaningful ways, so they can continue to become a stronger family unit. Support for family members extends to career counseling, physical wellness, mental wellness, and working with other veteran service organizations that support children of service members. Military life can be hard for children. But an often-cited silver lining is the independence and self-reliance children learn while their parent is away serving. Such was the case for Sean McMahon, whose dad Kevin was deployed twice to Iraq while leading a medical battalion for the Connecticut National Guard. Sean was 9, and his sister Erin was 13, the first time Kevin was deployed. The above words came from Sean’s recollections as he filled out college applications years later. While on active duty, Kevin worked as a Medical Service Officer with the 118th Area Support Medical Battalion, Connecticut Army National Guard. “My unit triaged and stabilized patients who were then transported to a combat support hospital in a major city like Balad, Mosul, or Baghdad.” He oversaw 26 clinics inside Iraq from the Turkey border to the Kuwait border. Kevin retired from active duty after 31 years of service in 2011. It was around this time that he read his son’s college essay for the first time. “It was poignant, and I realized how much of their lives I missed,” Kevin said. While he was wearing a uniform in Iraq, his children had gone through soccer games, senior prom, and graduations. Conversely, while his children were going through high school rites of passage, dad was saving lives in Iraq. There was the time he answered a call for blood donations at 1 a.m., and watched his own donated blood be infused into a young Marine who had a below the knee amputation. Some days there were late-night miracles, followed by a day of working in the morgue – shipping caskets. … This time the whole sendoff process was much more relaxed. My sister, my dad, and I drove to Camp Niantic, a local military base, where there was a bus waiting to take my dad to Fort Drum in upstate New York. We said our last good-byes and that was it. Or at least that’s what I thought. Much to my surprise, my dad showed up to my eighth grade graduation, dressed in full camo, of course. I was so overjoyed I ran up to him and jumped into his arms. I didn’t care one bit that all my friends were standing there watching me act like a little baby. Then he took me off to the side and we had a private one on one conversation. He proceeded to tell me to be brave and strong during the next year and how much he was going to miss going to my soccer and lacrosse games. The last thing he said to me was that I was going to have to be the man of the house while he was gone. I didn’t realize it then, but this was probably the most important conversation of my entire childhood. 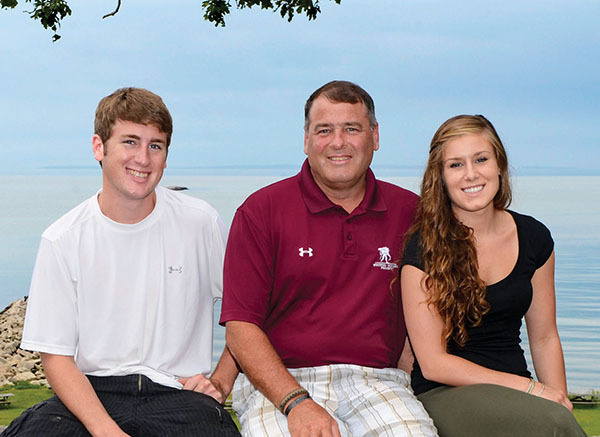 After Kevin retired in 2011, he focused on reconnecting with his children. He eventually found support and new purpose through WWP activities. He attended a WWP cooking class at the Culinary Institute of America® in Hyde Park, New York, where he met a WWP teammate who introduced him to other services, including adaptive sports. Kevin works with a program called Warriors in Motion as a ski instructor and spends three days per week in New York. He finds it a great way to stay active in winter and stay connected to his kids, who also like to ski and snowboard. “My kids are sports-minded,” Kevin said. “They come to New York to visit and ski and snowboard with me. We now share experiences and activities. I’m able to gain closeness with them as we do activities together.” Kevin’s children are now in their 20s, out of college, and starting new careers. He looks forward to being able to spend quality time together. of ways. One highlight is WWP’s collaboration with the National Military Family Association to provide one free week of summer camp to military children. Known as Operation Purple Camp, the initiative offers children of wounded veterans an opportunity to gather in a fun environment during the summer. Operation Purple Camp began at the height of deployments from Operation Enduring Freedom and Operation Iraqi Freedom, and they are open to all military branches. The goal is to give military children a chance to process military-specific challenges without feeling alone. WWP works closely with other veteran service organizations, private companies, and government agencies to provide resources for warriors and families. To learn more and to register as a wounded warrior or family support member, please visit https://wwp.news/GetConnected. Warriors Matt Cowie and Dan Bittner, from Iowa, know that their respective family membersand friends play a key role in their recovery journeys. Wounded Warrior Project® connection events aim at reaching families and actively engaging caregivers and children who can influence the warrior’s well-being and who need support for themselves. For injured veterans, the future of an entire family can change according to how the warrior recovers from visible and invisible injuries. That’s why Wounded Warrior Project® surrounds the whole family with help and support. 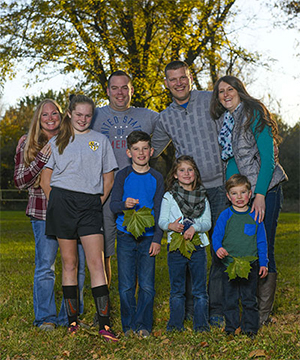 When a warrior is supported in regaining independence, achieving health goals, managing post-traumatic stress, or simply connecting with other warriors, the entire family feels the benefits. Since 2003, Wounded Warrior Project® (WWP) has been meeting the growing needs of warriors, their families, and caregivers – helping them achieve their highest ambition. WWP is a national, nonpartisan organization accredited with the Better Business Bureau (BBB), top rated by Charity Navigator, and holding a GuideStar Platinum rating. To get involved and learn how WWP connects, serves, and empowers, visit http://newsroom.woundedwarriorproject.org/about-us. Dan Schnock joined Wounded Warrior Project® (WWP) in 2011 and serves as national alumni director. His team provides education on WWP programs and facilitates events and opportunities for wounded veterans to connect with each other and build camaraderie. With 22 years of leadership experience in the U.S. Army, Dan brings a wealth of knowledge to the WWP team. Dan started his career as an Army lieutenant. He held numerous positions including aide-de-camp, military instructor, and operations officer. He deployed numerous times and culminated his military career as the U.S. military exchange officer in Albury/Wodonga, Australia.